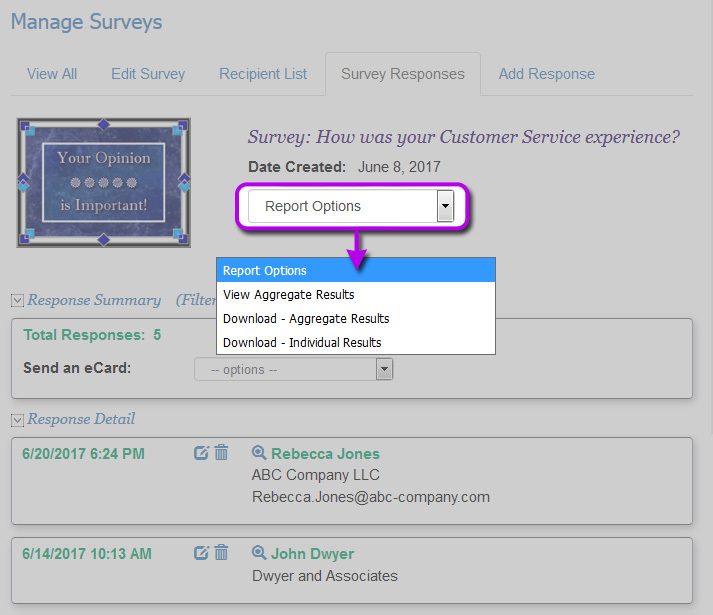 You can access your survey responses by going to the navigation and selecting Surveys > Manage Surveys. 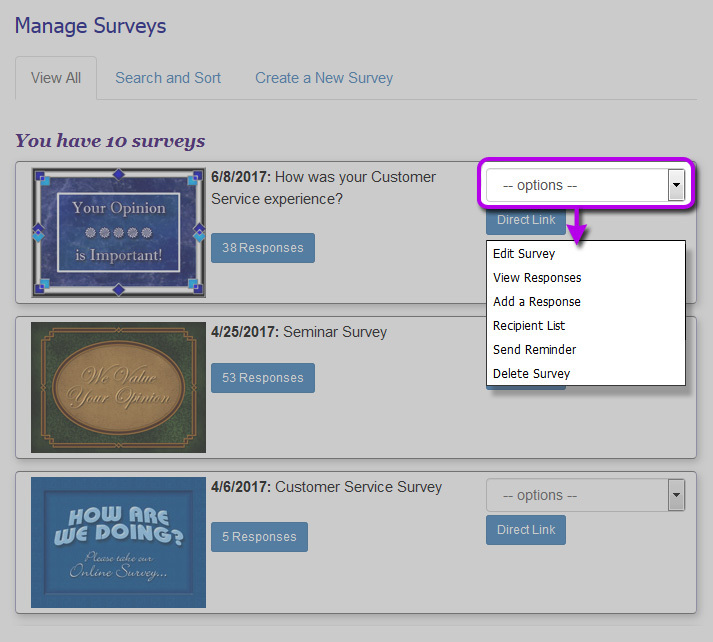 You can either click the 'Responses' button or choose 'View Responses' from the drop down options menu next to a survey. 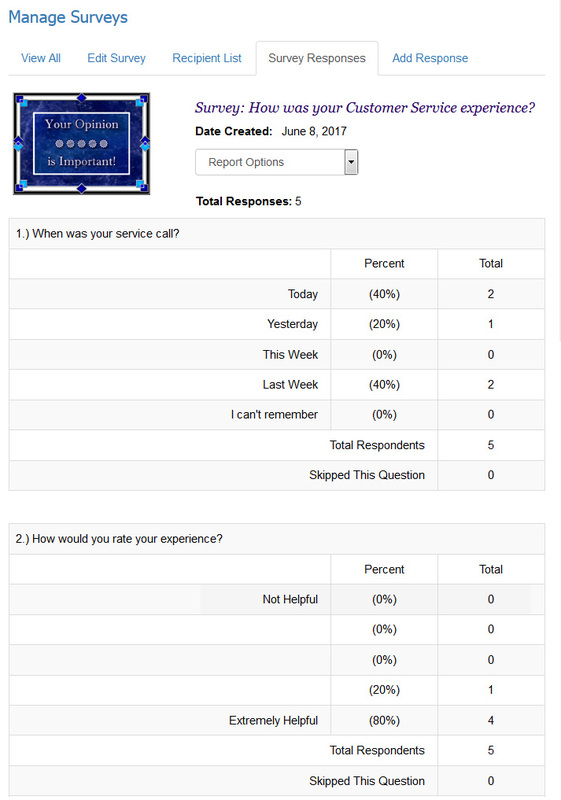 The summary shows you how many people responded to your survey. If you did not select a template: you will need to select a design and compose your message as you usually do when creating an eCard. 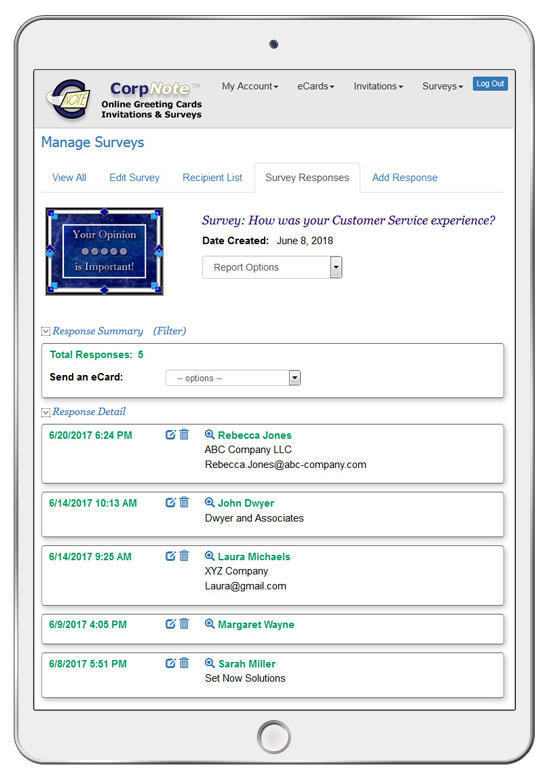 If you selected a template: you will see the edit message screen where you can make changes to this new eCard without affecting the original template. The address and send screen will have your selected recipients in the address list. You can either send this follow-up eCard immediately or schedule it to be sent on a future date. 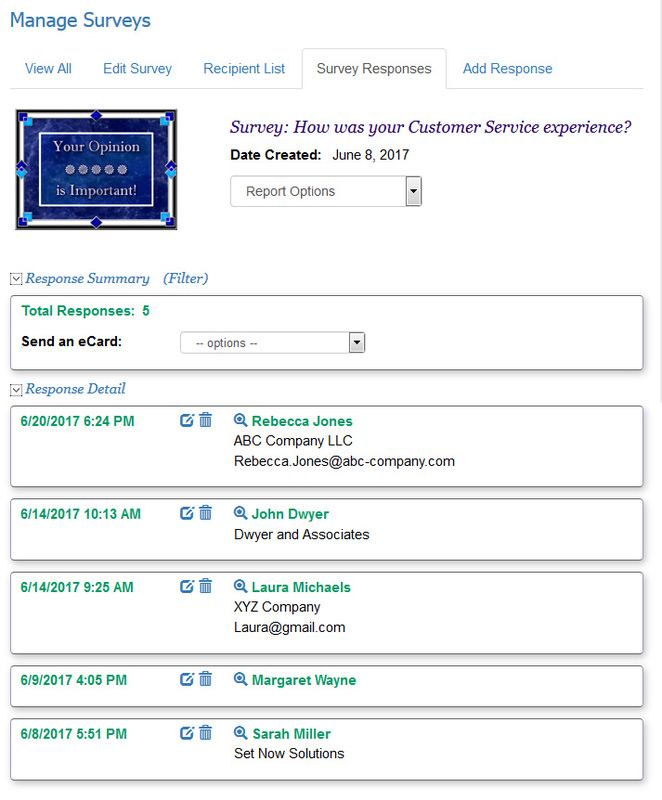 View Response Click the view icon next to a person's name to see the person's response to the survey and any additional comments they provided. Edit a Response Click on the edit icon to quickly edit a response. This includes the ability to change contact information (if the survey was not anonymous) and all answers. Delete a Response Click the delete icon to permanently remove a response. This information is permanently deleted and cannot be retrieved again. 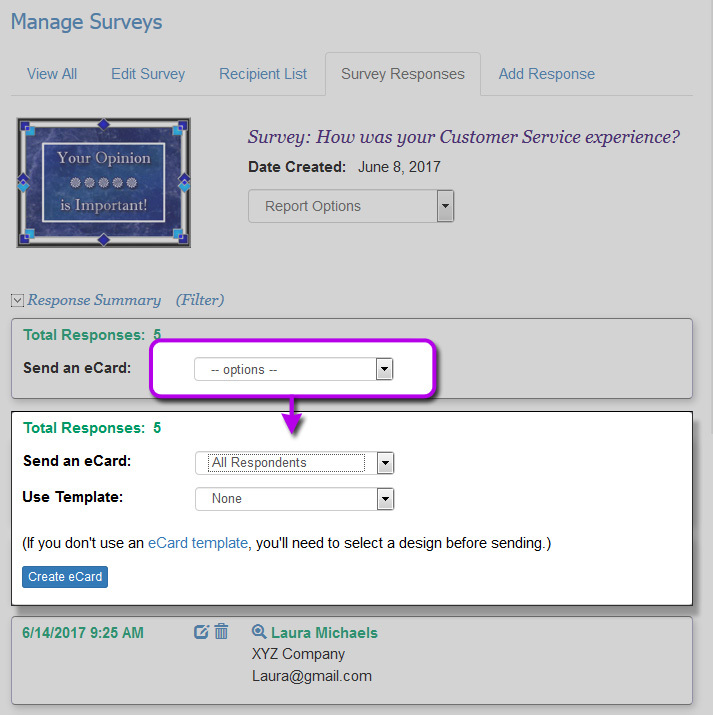 Note: If that person was on your Survey List, it will now appear as if the person has not responded to the eCard notice. 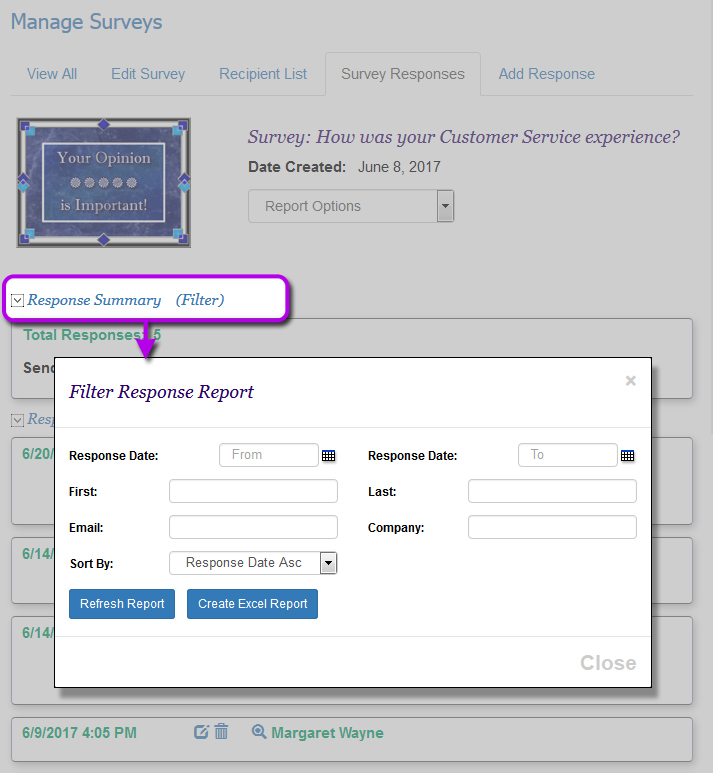 You can manually add a survey response for people that respond via phone, mail or email by clicking the "Add Response" tab (see example). 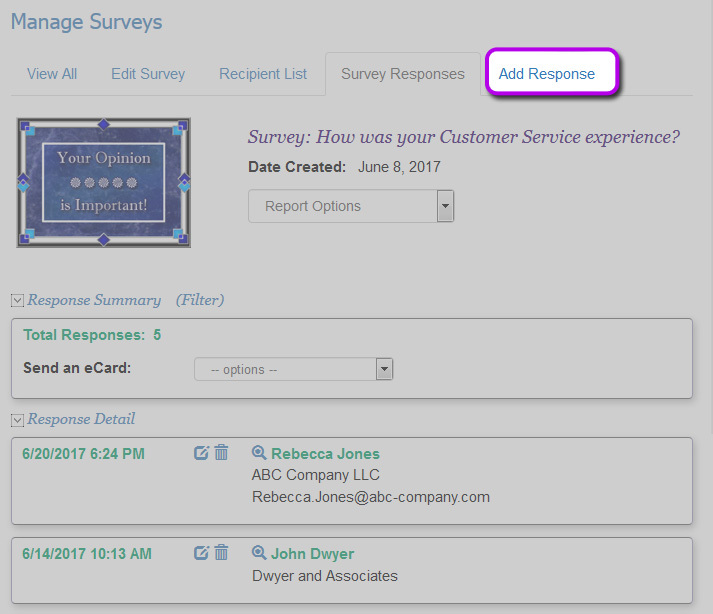 You can view responses on an individual or aggregate basis by clicking the 'Responses' button or selecting 'View Responses' from the options menu next to the survey (see example). On the next screen, you will see a drop down menu for "Report Options" (see example).